Here at Quality Construction we are pleased to announce that roofing is our specialty! We have replaced thousands of roofs, in multiple different climate types, spanning across the entire country. Quality Construction is skilled in the installation of just about every type of roof system imaginable and we are preferred contractors through the country’s leading manufacturers Owens Corning and GAF. We have and will continue to obtain the best crews available in the industry and hold them to the rigid standard that Quality Construction has upheld since its initial creation. We understand that replacing the roof on your home can be one of the biggest and most important decisions you have ever made. Your home is a huge investment and protecting your home and its contents starts with making sure that you have an adequate roof system. If you have questions regarding the condition of your roof whether it’s due to a hail or wind damage or you are simply concerned about the age of your roof call Quality Construction and one of our well trained representatives will come out and inspect your home at no cost. In the roofing business, we call these types of shingles “Comp”, short for composition. Comp shingles are the most widely used shingles here at Quality Construction; 80% of all roofs today contain comp shingles. 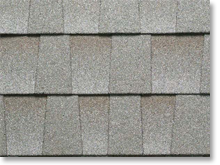 Composition shingles are a great choice for any home and due to technology advances in shingles and granules they can help reflect the suns harmful rays saving you money on cooling bills and pro longing the life of your shingle! We are a preferred contractor through the major manufactures of comp shingles products and are able to provide extended warranties on each roof we install. Call for details! Wood shingles and shake have a natural appearance. They are easy to apply, durable and are low maintenance. The draw-back to wood shingles is that they are flammable unless treated with fire retardant. 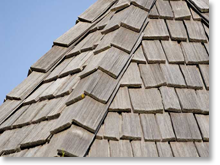 Most wood shingles and shakes are now getting replaced with a comparable composition shingle. However some HOA covenants require wood shakes to still be installed. Here at Quality Construction our crews are skilled in the installation of wood shake and can have your home looking like new in a matter of days. Slate material is a pretty attractive and durable material. 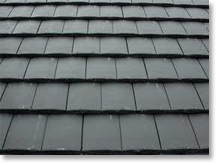 Slate is one of the oldest roofing materials and is long lasting. Natural slate is stone quarried in New York, Pennsylvania, Vermont, Virginia and in other countries; grade and color depend on the stone’s origin. Installation of slate requires a skilled craftsman and because the material is heavy, the roof may need to be beefed up to provide extra support. If you have any questions about replacing your existing roof with a slate shingle give us a call and we can help explain things in much more detail. 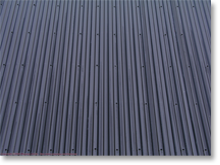 Here at Quality Construction we have replaced hundreds of metal roofs. Though metal roofing was once reserved mostly for use on barns and commercial buildings, new developments in material, finishes and manufacturing techniques have made metal panels, imitation wood shakes, tile and slate look-alikes – even Victorian metal tile recreations – popular for residential roofing. Concrete tile comes in several different styles from Spanish style, terra cotta to flat tile(slate and shake like styles), along with many other styles and colors. 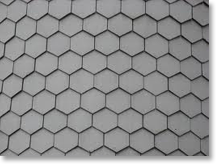 Tile is also very low maintenance and due to its extreme durability to wind and hail it can often times save you money on insurance premiums. Due to this material also being extremely heavy extra support might be needed on a home before installation. So no matter what kind of roof system you are planning to replace, you can rest assured that Quality Construction has got you covered! We have the experience and the crews available to suit any of your individual roofing needs. You can also put your mind at ease knowing that we take pride in every roof replacement, pull permits on every jobsite, and will be around long after your roofing installation is complete. If you have any questions regarding one of our many available roof systems feel free to give us a call! !